I recently watched Time Life’s Samson and Delilah from the Bible Collection. Curiously it’s the only film in the series to feature two names (that is unless one counts Creation and Flood. Both films are also the only ones that I’ve seen so far to utilise a narrator). Anyway, I’ll review it in a couple of days, but for now here’s the scene guide with a few comments. 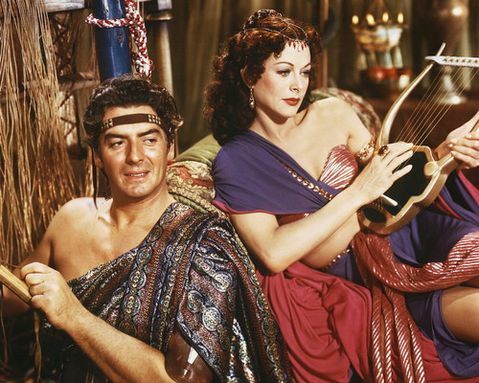 * Both have an Israelite girl who loves Samson but who is too pious, faithful and dull for Samson to love back. As noted above, almost all of the biblical material is included in this film. The most notable exception is Manoah’s reaction to his wife’s visitation. 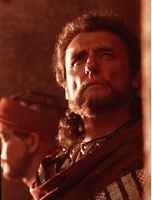 The omission of this episode actually emphasises the similarities between the birth of Samson and the birth of Jesus, which is further highlighted by references to Samson as "Saviour of Israel". Coming Soon - "Through a Screen Darkly"
The Ten: Update, Interviews and Website.